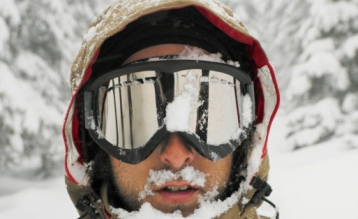 Finding the best OTG ski goggles that fit over glasses can be challenging. Lots of people will suggest simply wearing contacts, but what they may not understand is that contacts can be irritating, and prescription ski goggles and inserts are expensive. Sometimes, you have to just respect the spectacles. 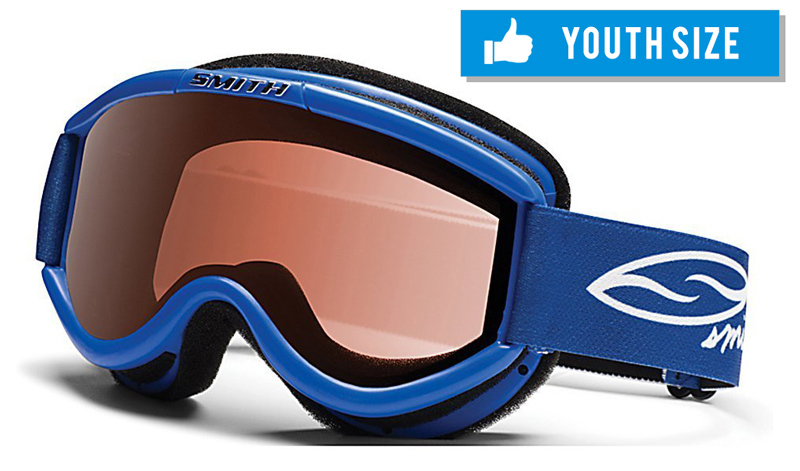 Below, we’ve compiled a list of the the top-reviewed goggles for people with glasses. Holy Toledo are these Smith I/OX goggles a nice piece of equipment. Not only do they have some of the high-quality features that accompany many other Smith models, like the 5X anti-fog lens, the TLT lens technology, and a triple layer of comfortable foam, but they sport a slick frameless design, allowing powdery snow to roll right off the edges. Utilize the quick-release lens change system to swap back and forth between the two included lenses (bright light and low light, mirrored), or you can pick up some additional lenses to customize your pair. The field of view is great, allowing maximum peripheral vision, and they fit comfortably over almost all pairs of eyeglasses. If you’re looking to buy a pair of goggles that fit over glasses, look stylish, and will take a beating for years to come – look no further. Note: If you’re looking for maximum fog-fighting abilities- you may be tempted to pick up the Turbo Fan version of these. Hold off – the battery wiring has been problematic for some users. Stick with the proven original model, or check out the Knowledge Turbo Fan model below. (#3). They call these the Oakley Flight Deck, because with this field of view, you might as well be sitting in a F-22 cockpit. 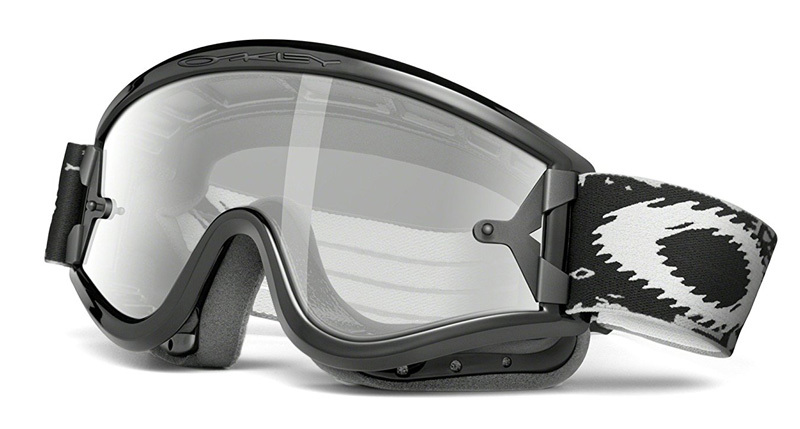 These OTG snowboard goggles have been around for a few years, with consistently good reviews, and include small notches in the frame’s temples for wearing glasses under these ski goggles comfortably. 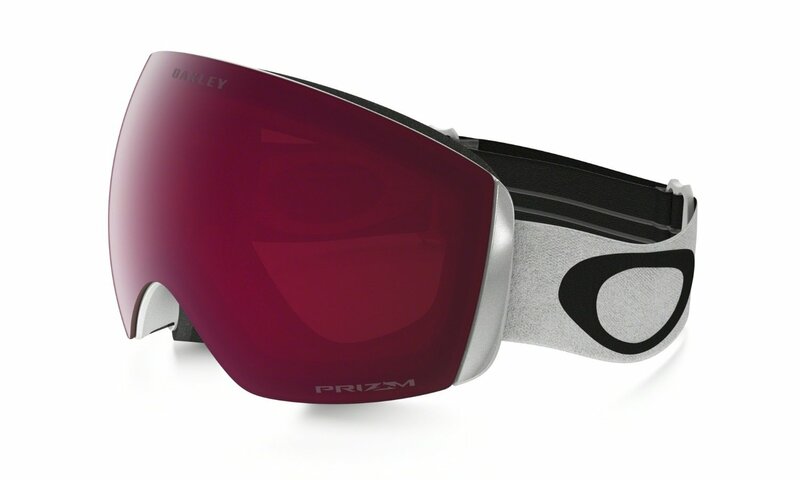 There are other models on this list that are designed more specifically to being OTG ski goggles, but they lack the style and quality that Oakley brings here. 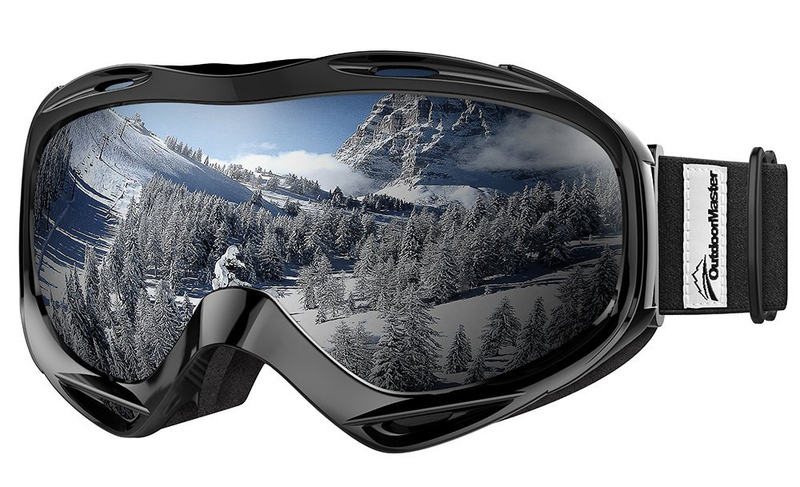 Similar to the Smith I/OX OTG snow goggles above, these boast a modern rimless design, as well as maximum clarity and impact resistance from tree branches and icy snowballs. And if you choose a lens with Oakley’s PRIZM™ technology, they will supposedly filter out targeted wavelengths, allowing maximum color contrast. One of the biggest obstacles to overcome in OTG goggles is fog and condensation of your glasses, as they sit close to your face in an enclosed, warm environment. 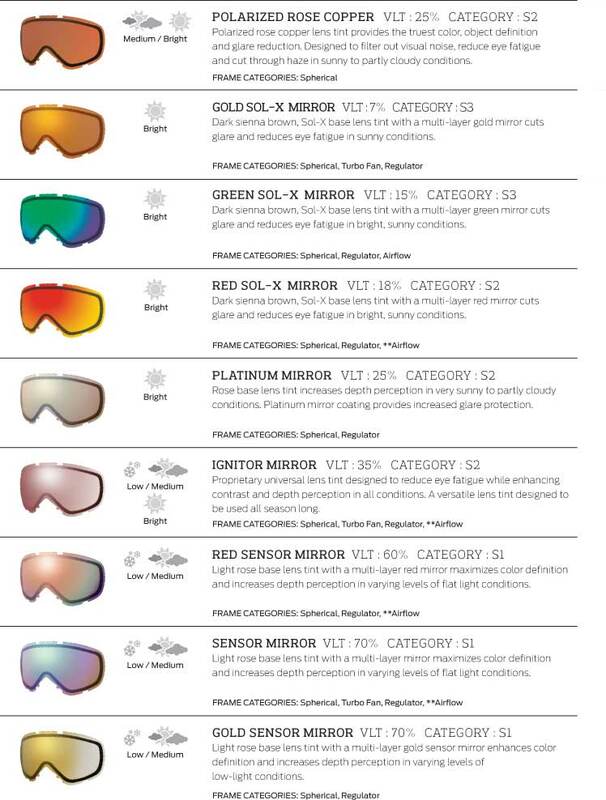 All of the goggles on this list combat that with one feature or another, but the Smith Knowledge Turbo fan kicks it to the next level by incorporating their 5X™ anti-fog inner lens and a two-speed electronic exhaust fan, keeping both your goggles and your glasses crystal clear and well-ventilated. The free-floating foam membrane alleviates eyeglass temple pressure, and even though it’s a cylindrical lens, optical distortion is addressed with Smith’s Patented Porex™ filter. The Urethane frame itself is super flexible, allowing it to contour to your facial structure and create a more comfortable seal. Even if you picked up a pricey pair of prescription ski goggles, they still wouldn’t be as fog-fighting as these. These have some seriously-comfortable bells and whistles. 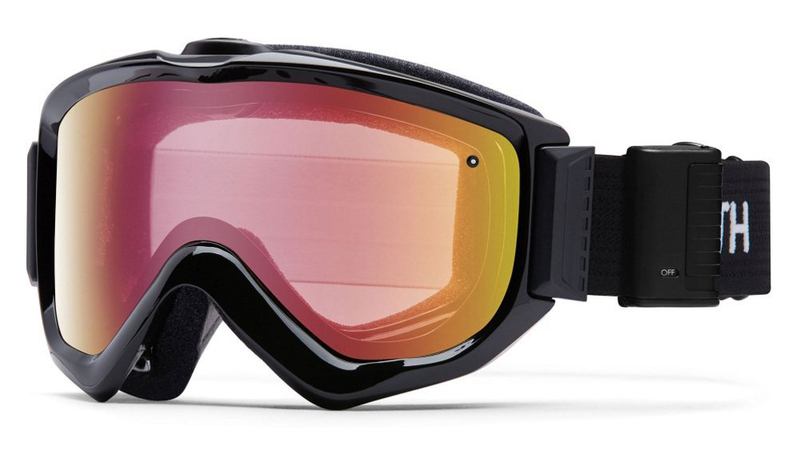 For the price, these are an excellent choice for ski goggles to fit over glasses, and they rank high on our list of overall best Bolle goggles. Their double-lens design (like most on this list) acts as a thermal barrier to fight fog and condensation, and the lens vents optimize airflow inside the spacious cavity, leaving lots of breathing room for your eyeglasses. Like lots of over glasses goggles, they are equipped with a convenient quick-release buckle on the back of the strap, but it’s bulkier than most, and may interfere with low-profile strap catches on the back of some ski helmets. We recommend springing for the Modulator Vermillon Blue photochromic lens, which adjusts its Visible Light Transmission (VLT) from 66% down to 26%, depending on the brightness of the day – a feature normally accompanied by a larger price tag. 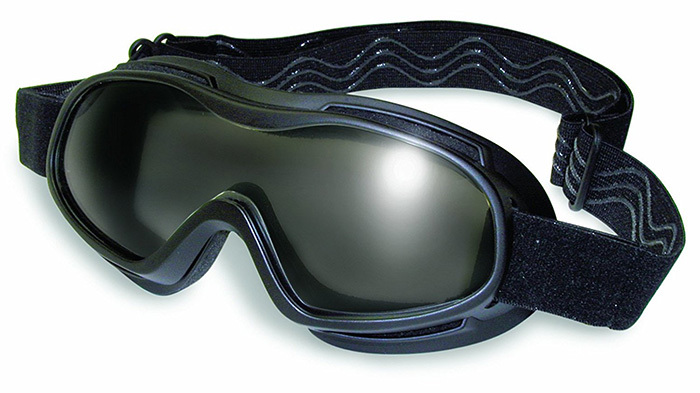 If you’re not wanting to spend a lot of money on OTG glass goggles, these Bolle ski goggles make an excellent choice. Coming in with one of the only polarized lenses (Rose) on this list, the Giro Index OTG goggles offer a spacious interior (for a medium-sized frame) as well as temple cutouts for your prescription frames. 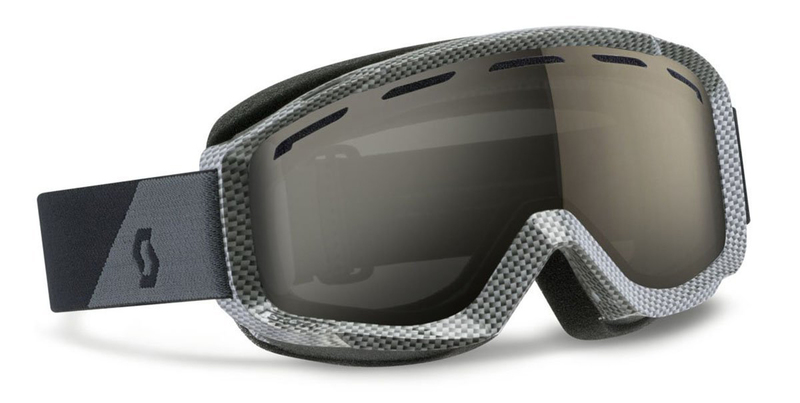 They may not be as accommodating for larger-framed eyeglasses as some other OTG goggles on this list, but with effective Anti-Fog coating and double-layer face foam make these excellent no-frills ski goggles for wearing over your glasses. They’re compatible with your helmet, and suited for medium-sized noggins. 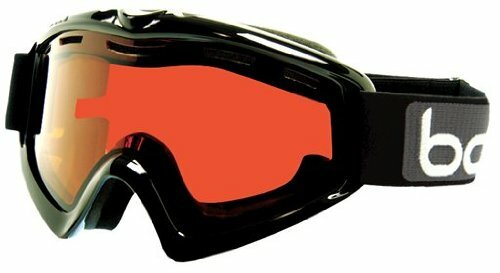 For around sixty bucks, you’re looking at a much more affordable option than prescription ski goggles. 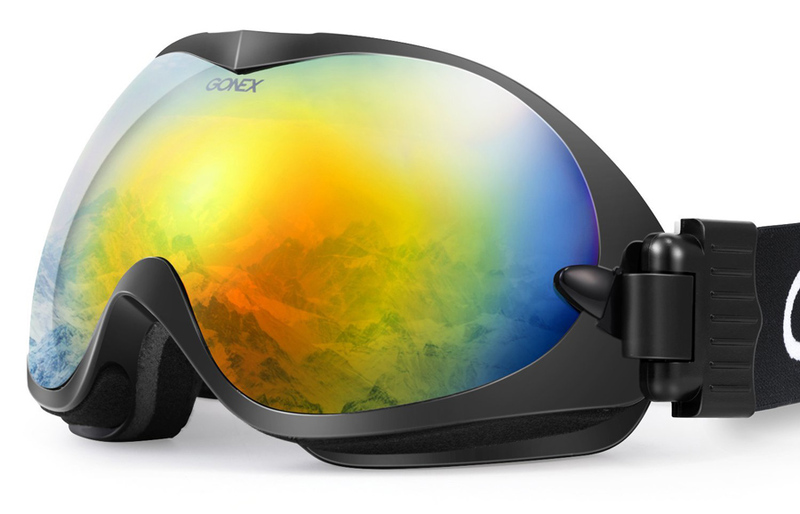 A sibling to the Bolle X-9 OTG model above, this version offers many of the same features, including the scratch-resistant Carbo Glass, the double lens, and the Flow-Tech venting to really prevent them from fogging up. 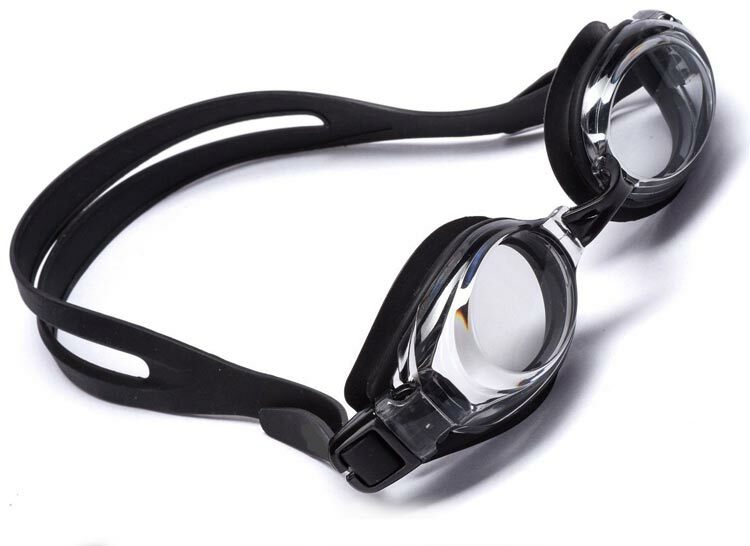 The same bulky release buckle on the strap exists here, unfortunately, but if that doesn’t bother you, these OTG goggles fit over a variety of sizes and styles of eyeglasses, best suited for those with small to medium faces. 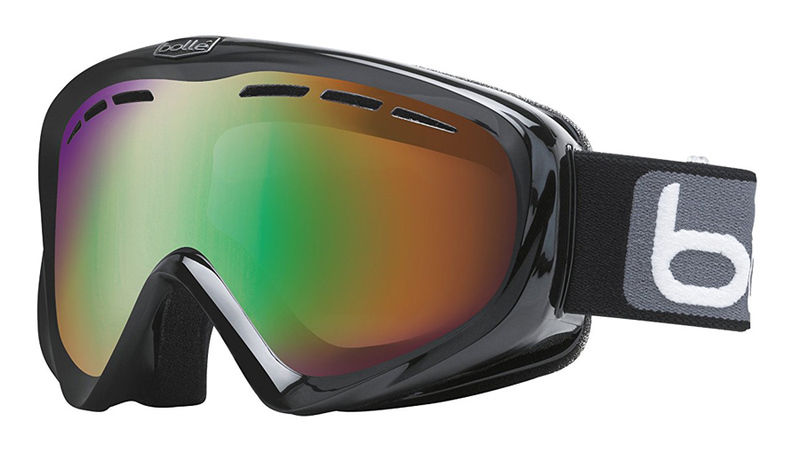 If you’ve got a bigger dome and looking for goggles that go over glasses, go for the Bolle X-9 ski goggles (#4) above. 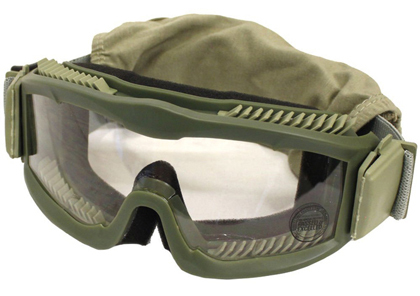 Finding OTG goggles for women can be hard, since many of the unisex frames are quite large. 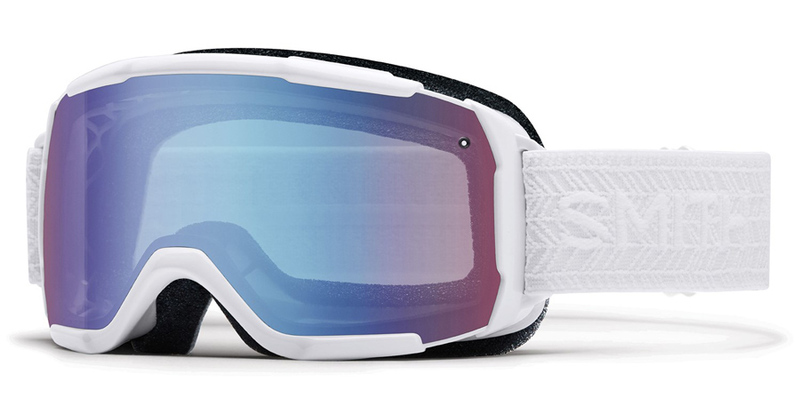 Smith has addressed this issue with the Showcase OTG model, designed for women with medium/small faces to be able to wear ski goggles over glasses comfortably without too much bulk. The spherical carbonic-x lenses preserve visual accuracy and the TLT lens technology combined with their anti-fog inner lens help protect against fog. But beware, with the reduced volume for a smaller face, the chances for condensation on your glasses inherently increases. Outfitted with a tripe-layer of foam and a double-layer lens, these bug-eyed goggles leave lots of room for larger framed glasses. Both lens styles, colored and silver, offer a 21% VLT, suitable for sunny days while still allowing enough light in on cloudy afternoons. Like prescription ski goggles, these do not have an interchangeable lens. 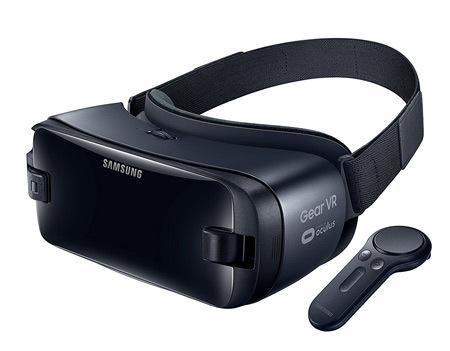 But Visual distortion is minimal due to its single spherical lens, and they come with a nice hard carrying case, protecting the lens from scratches and scuffs when not in use. 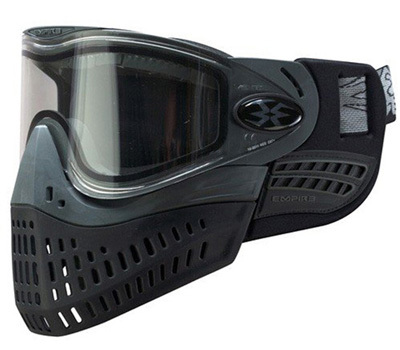 If you’ve got a large face or don’t mind looking like a walking insect, these goggles offer good value at a small price tag. Complete with Scott TruView double lens for optimal clarity and fog-free performance, the Scott Habit OTG goggles are a basic goggle for your everyday winter use. While they only have a single layer of face foam, we like the detail of Scott’s No-Slip Silicone Strap, preventing slippage on your hat or helmet. 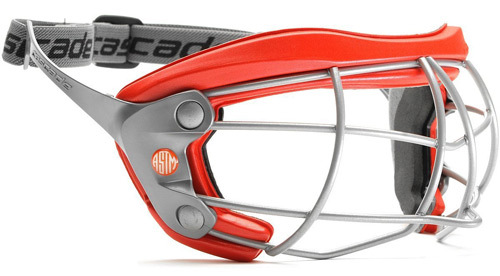 These also have the quick-release buckle on the back of the strap, which may or may not interfere with the strap catch on the back of some helmets, so beware. Suitable for medium to large faces, wearing your Rx eyeglasses in these goggles can be comfortable all day long, with a well-designed ventilation system to keep them condensation-free. 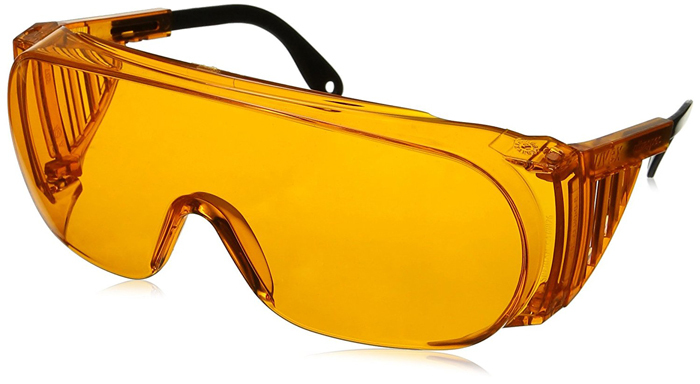 If you only charge the mountain once or twice a year, or simply want something for plowing the snow from your driveway in the middle of winter, check out these Outdoormaster goggles for glasses. While they may not have the mind-melting futuristic technology like those at the upper portion of this list, they still feature dual layer lenses, a flexible frame, anit-fog coating, and enough space for your spectacles, making these very worthy over-glasses goggles. Your offspring have it hard enough learning how to bomb down an icy slope at the age of five – don’t let blurry vision make it any harder. The Bolle Challenger OTG goggles have all the features of the big-boy Bolle models, but in a smaller package for smaller faces, making it a good option for OTG goggles for children. The foam isn’t the highest quality, but it’s hypoallergenic, comfortable, and features foam temple cutouts that eliminate pressure from the arms of their eyeglasses. Give junior the gift of sight for around $25.